You may also call the box office to make a donation at (501) 450-3265, or contact Reynolds Director Amanda Horton directly at (501) 450-3682 or ahorton@uca.edu. Please be sure to include your name (as you wish it to appear in the program book), address and phone number. 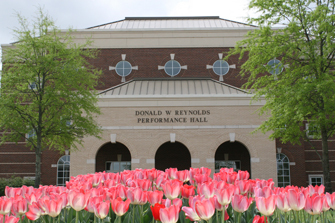 As thanks for your gift to Reynolds Performance Hall, we are pleased to offer the following benefits.